Fire up the grill and get ready for a fall-off-the-bone favorite. These baby back pork ribs are naturally smoked for hours until tender and fully cooked to perfection. 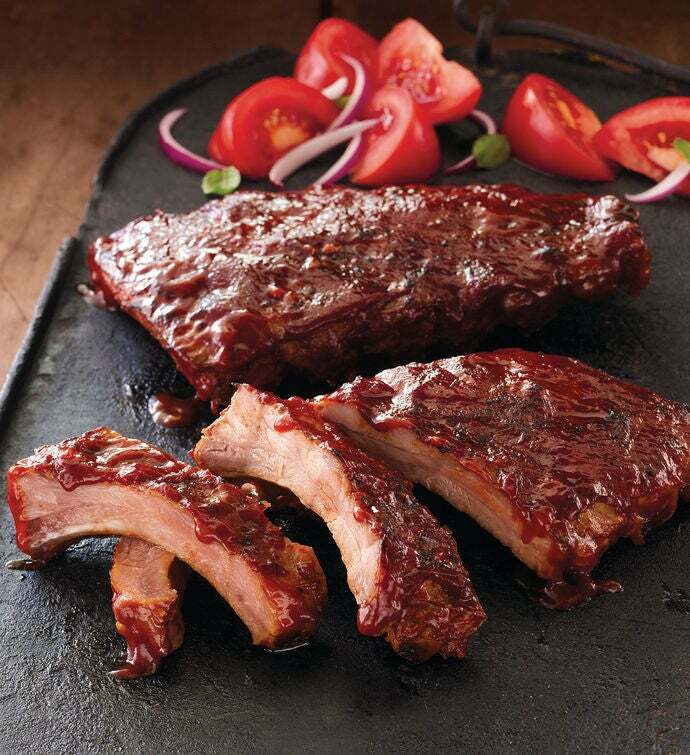 Zesty barbecue sauce is generously slathered on for the ultimate finishing touch.